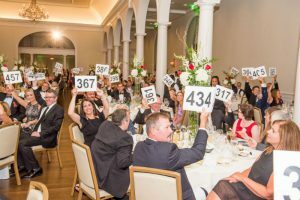 On Friday, August 11, 2017, Ronald McDonald House Charities of Alabama (RMHCA) hosted its 15th Annual Heart of the House Gala at a private club in Birmingham. RMHCA would like to thank all sponsors, guests and donors for their generosity in making the Heart of the House Gala such a success. The charity raised $194,702 to give families a safe, comfortable place to be together when their child receives medical care at a Birmingham-area hospital. The evening started with a silent auction filled with unique items, many from businesses and artists right here in Alabama. Guests then enjoyed a seated dinner that included a generous wine donation from Jackson Family Wines. Christie King of C King Benefit Auctions led the live auction and guests bid on everything from a romantic trip to Belize to a bottle of Pappy Van Winkle. 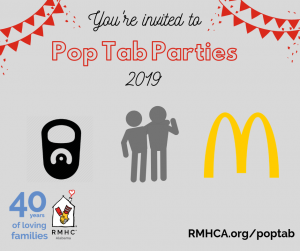 RMHCA would like to especially thank the following sponsors: McDonald’s of Central Alabama, United Johnson Brothers of Alabama, UAB Medicine, Protective Life Corporation, Medical Properties Trust, EBSCO, Nucor Tuscaloosa, Children’s of Alabama, Regions, Wind Creek Wetumpka, Brasfield & Gorrie, McDonald’s of Colbert and Franklin Counties, Massey, Stotser, and Nichols, P.C. ; and Brother’s Recycling. 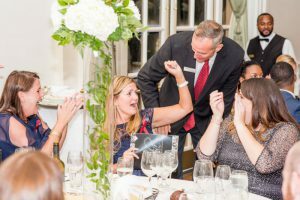 In addition, RMHCA is grateful to the many volunteers who gave their time and expertise to make the Heart of the House Gala a success. 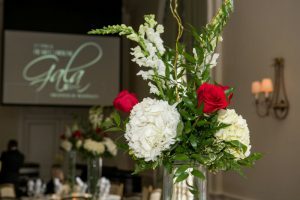 The 16th Annual Heart of the House Gala will be held August 10, 2018. For more information on tickets or sponsorships, please contact Special Events Coordinator Katie Hannah by phone at 205-638-7264 or email at katie.hannah@rmhca.org. See photos of the evening on our Flickr page.